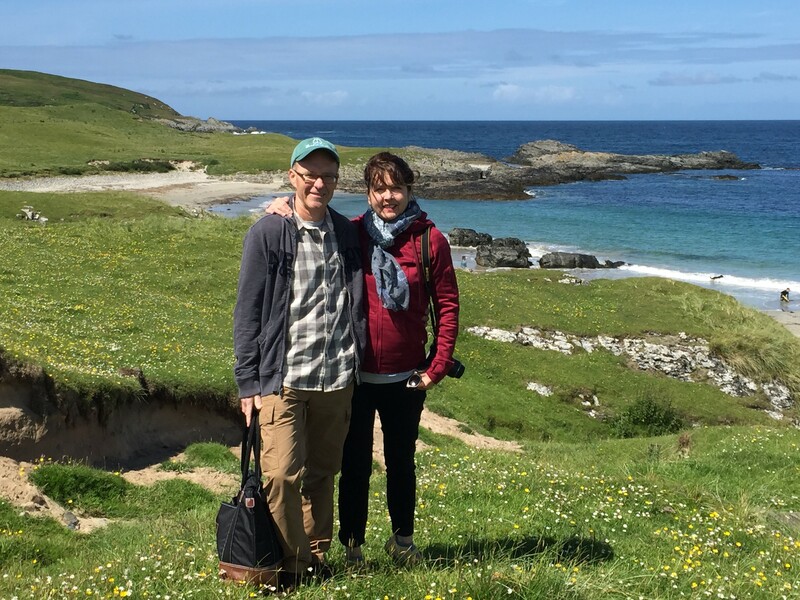 If you enjoyed Local Hero, the 1983 movie about the oil businessman who finds himself on a Scottish island inhabited by stubborn locals, then you’ll love the real-life version during a vacation on the Isle of Islay (EYE-luh), part of the Inner Hebrides. Just a 20-minute flight from Glasgow or a two-hour ferry ride from Kennacraig, and you’ll be transported to a place that remains timeless. You want beauty? Islay has 130 miles of rugged coastline pocketed with stunningly picturesque beaches, rolling green hills and a few charming villages. You want beasts? The island is home to thousands of sheep, cattle and feral goats, all outnumbering humans by a wide margin. But what has put Islay on the map are the distinctive, peat-forward single-malt whiskies brewed there. There are currently eight distilleries – one for every day of the week and two on Sunday – and the famous lineup includes Ardbeg, Bowmore, Bruichladdich, Bunnahabhain, Kilchoman, Caol Ila, Lagavulin and Laphroaig. 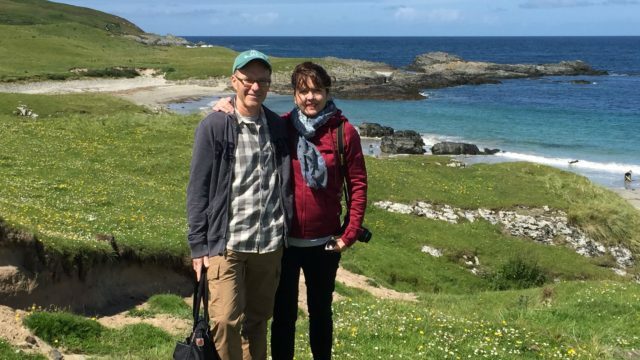 For an immersive experience, rent a holiday cottage and stay for at least a week, which is what my husband, Scott, and I did in July. For the less adventurous, there are plenty of B&Bs along with very nice small boutique hotels. Go to the local co-ops for an impressive array of cheeses, wines, vegetables and meats. Even the local Spar gas station has respectable wines from France and Spain for less than $10. There is a fantastic butcher in Bowmore, the island’s largest village, who will prepare beautiful roasts of beef, lamb or pork, and sausage from local sources. On Wednesday, Thursday and Friday, Jean’s Fresh Fish Market in Bowmore offers fresh seafood right off the boat including shellfish, salmon, scallops, kippers, mackerel, haddock and more. Jean’s mobile Fish Market visits the smaller villages on a weekly basis. 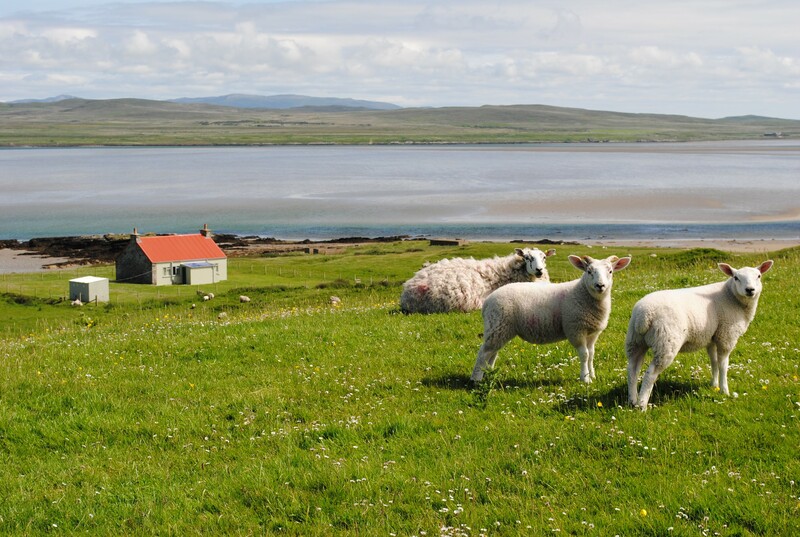 Loch Gruinart oysters can be picked up during an excursion for a delicious treat. You’ll be driving on the left side of the road so be prepared for that. Car rental is easy and can be arranged online. They meet you at the tiny airport or the ferry. Most of the roads are single track, which means you need to understand the rules of a lay-by when you meet oncoming traffic (you pull over if the lay-by is on your side) and give a friendly little wave to villagers as they pass. The biggest traffic jams are caused by sheep or farm vehicles. You’ll need good walking shoes and a jacket. It’s cool and windy in Scotland, and Islay is known for its Islay Mist – a daily sprinkling of light rain, except when it’s heavy rain. When the sun comes out – as it does most days – it’s glorious, so hop in your car and venture out for a hike or picnic on one of the many stunningly beautiful beaches. And since the summer months offer daylight until almost 11 pm, you can get a day’s worth of sun even if doesn’t appear until late afternoon. There are printed guides for the nine official hikes on Islay or you can go with a group on scheduled walks from Port Charlotte, a conservation village with all white houses, the Port Charlotte Hotel and several good restaurants and pubs. We’ve done all of the walks in the guide. Each has something to offer, with a chance to bathe in nature (the trend of the moment) or just soak in fresh air, gorgeous views and wildlife. Islay is well known for having more than 800 varieties of wildflowers so spring and summer are the times to visit. It is also a well-known spot for birding with eagles, oystercatchers, gulls, corncrakes and hundreds of varieties in plain view. Islanders want you to enjoy the land but abide by the rules. They believe that no-trespassing laws are unneighborly, so access is open to walk on lands and beaches. All they ask is that you respect the land, keep dogs on a leash and close the gates so sheep or cattle don’t stray. And, always, mind the bog. You can’t visit Islay without tasting its most famous export, the scotch whisky. The unique taste, sometimes quite strong depending on the distillery, derives from the peat dug from the ground for use, mainly, as a heat source when burned. Most of the distilleries have cafes and gift shops along with nicely decorated tasting rooms or museums of the trade. One highlight worthy of a stop is the signature soup at the Kilhomen Distillery. The unappetizing-sounding name – cullen skink – belies the deep and creamy deliciousness of smoked haddock, potatoes and onions. Go early – when it’s gone for the day, it’s gone. Islay’s history dates to roughly 8,000 BC. Relics of the past pop up across the island – there are several standing stones still visible, for one example. Viewing them is kind of like Stonehenge but much smaller, and you’ll be the only ones there. In the Norse era, missionaries built tiny churches, and each district on the island had its own church and burial ground. Later, commemorative crosses were set up in the burial grounds. Some like the ones at Kilnave and Kildalton are well preserved and have great detail. The Kildalton Cross, one of the few remaining crosses in Scotland, dates back as far as 800 AD. The power base of the Scottish lordship was centered at Finlaggan on Islay during the 13th to 15th century. Here, two islands in a freshwater loch surrounded by rich and fertile land served as the lord’s residence and court. This was where new lords were inaugurated and the administrative council met and deliberated. As an island-within-an-island, Finlaggan was well protected for the secret deals and negotiations that took place there. It is an important archeological site and a peaceful place to explore and imagine. My Grannie and Uncle Gilbert (both born on Islay) loved to tell tales about the (non-whisky) spirits and sightings on Islay. It certainly left an impression, and this summer we learned about two famous shipwrecks off Islay’s coasts. On February 5, 1918, the American troop ship Tuscania, en route to Britain with more than 2,000 American soldiers on board, was torpedoed by a German u-boat in the North Channel between Islay and the north coast of Ireland, and sank seven miles off the Mull of Oa (a cliff formation on the west side of Islay). More than 200 men either drowned or died when their lifeboats crashed against the rocks. Villagers opened their homes to the survivors, and respectfully buried the dead. Without an American flag on hand, several local women spent the night making one so it could be displayed at the memorial service the following morning. On October 6 the same year, the American troop carrier Otranto collided with another ship and sank in Machir Bay, and 400-plus more lives were lost. Today, many beaches have posted memorials commemorating the wrecks, the missions and the dead. The entire fascinating history of the island and Islay life is found at the Islay Museum in Port Charlotte. The Islay Woolen Mill was first established in 1883 and reopened in 1981. It is run by Gordon and Sheila Covell who produce beautiful woven fabrics and fashions. Their tartans have captured the attention of Hollywood, as their designs have been featured in Braveheart, Forrest Gump, Rob Roy and many other films. No visit is complete without browsing through the merchandise – all made on-site – to pick up a woolen cap, cashmere scarf or other gifts. More unique shopping is found in Bowmore at The Celtic House for jewelry, gifts and specialty items. The newest area for a fun afternoon of exploring is Islay House Square in Bridgend. There’s a lovely community garden, Islay Ales Company (a distillery of local beers – some infused with single malt), Elizabeth Sykes Batiks, Islay Quilters and assorted arts studios. Fèis Ile, a combination of music festival and malt whisky festival, takes place in late May or early June each year. Like the Lagavulin Jazz Festival in the middle of September, it brings a lot of fans to Islay. 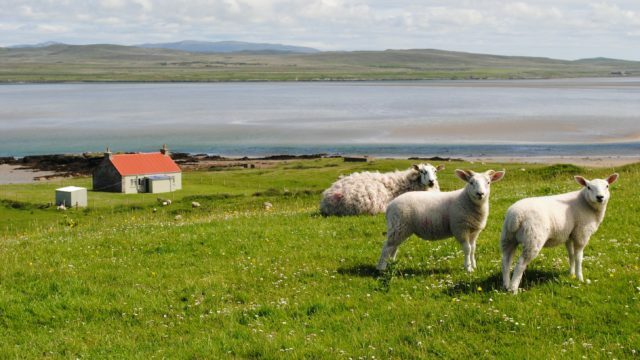 Scotland is authentic, and you’ll find nothing quite like Islay. From there, it’s easy to get back to Glasgow, a rather cosmopolitan city (great museums and music scene) and hit the other highlights such as Glencoe in the mountains, Edinburgh (castle) and the many lochs that abound in the central area of the country. Oban is another great town and a quick ride to visit the Isle of Mull.